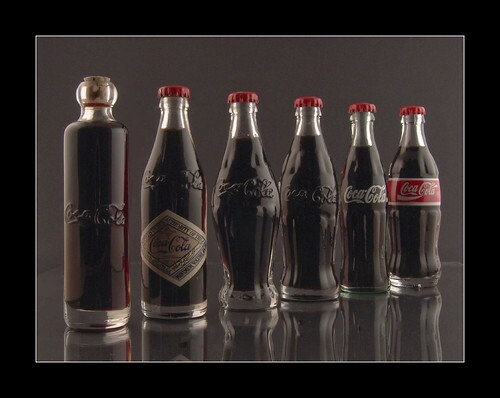 Pharmacist produced in 1866 a syrup that if mixed with carbonated waste would produce a delightful drink that later became known as Coca-Cola through the leadership of Asa Candler (Polk, 2008). Coca-Cola Company is well-known for its cola drink Coke although the company has 400 non-alcoholic beverages distributed around the world supported with operations in 200 countries (Holcomb, 2008). Coca-Cola brand strength is supported by its worldwide distribution and availability (Peter & Donnelly, 2006). In August 2006, Coca-Cola Company stated that their products are tested using European standards and did not break any laws in India. However, Coke was found containing pesticides 24 times higher than the European standard by an Indian laboratory that Coca-Cola discredit (Burnett & Welford, 2007). Coca-Cola has many bottling plants which are in different locations in India sharing large quantities of water to local farmers especially during seasonal droughts (Burnett & Welford, 2007). What kind of relationship marketing strategy is required to replicate the business model in an international market? What will be the best course of action when the international business deviate from the company’s values? What would be the best marketing relations strategy between two different cultures? Coca-Cola and its main competitor, PepsiCo had saturated the local U. S. A. and Europe markets. Coca-Cola found India to be a good market for its products because of the large population and the low-cost labor to operate its bottling plants. International markets are usually different from the local market, which necessitates different marketing strategy and stronger relationship building effort. Coca-Cola had difficulty in handling the protesters around its bottling plants although nearby breweries are consuming similar water quantities and produce equivalent waste (Burnett & Welford, 2007). Protesters targeted the Coca-Cola’s fully owned and operated plants but the licensed plants did not have the same difficulties. Market needs the long-term relationship between the buyer and seller to maintain growth (Bejou, 1997). Zikmund, Mcleod, and Gilbert (2003) used the term “one-to-one marketing” to describe relationship marketing theory because of the business owner’s tailored marketing to individuals. The customers are loyal to sellers with high product quality if they equate the product price with its value. The relationship marketing theory revolves around three aspects. According to Zikmund, Mcleod, and Gilbert (2003), the first aspect is financial incentives, in which the customer receives rewards or discounts in exchange for their repeated business. The second aspect is social bonding between the company and the customer. The third aspect is structural interaction. The relationship marketing importance resides in the strong bonding between the company and the customers which result in long-term relationship that allows the business owner to plan, stock and provide products wanted repeatedly by the loyal customers (Hair, Bush, & Ortinau, 2003). Coca-Cola target customers who will benefit from its products in exchange for their profitable and repeated purchase (Peck, Payne, Christopher, & Clark, 1999). Coca-Cola built bottling plants in India to strengthen its relationship with the Indian customers in exchange to their loyalty. 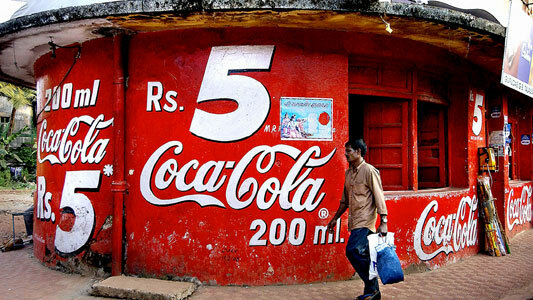 However, Coca-Cola had malpractices that seriously affected its relation with the Indian consumers. The problem is Coca-Cola plants in India consume water when it is a scarce resource, pollute the underground water resources and dump hazardous materials like lead and cadmium while bottling a drink that contains pesticides (Burnett & Welford, 2007). Indian states banned the sale of Coca-Cola in governmental institutions and Pollutions Control Board of Kerala closed a bottling plant after a lengthy protest by the villagers. Coca-Cola acknowledges their safety standard violation by failing to take toxicity test on one of their dumping sites. Coca-Cola Company had difficult challenges in India and was not treated similarly to the local businesses. Coca-Cola faults and wrongdoings are documented and approved, which obliged the company to react according to international norms and business ethics. Coca-Cola’s values call for a leadership that have “the courage to shape a better future” and an integrity to “be real” (“Our Company,” 2009). Coca-Cola Company had a leadership challenge when one of its employees filed a suit accusing Coca-Cola of inflating Burger King’s study in 2002 (Polk, 2008). The results of the study were exaggerated to show higher profits from soft drink test. Coca-Cola fired several executives and paid $21 million to Burger King (Polk, 2008). Coca-Cola Company had situations in India that clearly contradict with its mission and values. These situations require the right leadership to acknowledge them, responsibly act to correct the wrongdoings and set up measures to prevent its reoccurrence. The study will produce a set of recommendations to achieve the above requirement and recommend that Coca-Cola either pay to remedy the damages or recuperate the harm done in India. Committed customers would forgive the seller if the mistakes or harm are minor but the same committed customers would be increasingly dissatisfied if the level of perceived wrongdoing increases (Ingram, Skinner, & Taylor, 2005). Regular customer would not tolerate wrongdoing and will not forgive the sellers for mistakes although they committed with the good intention. Customers may retaliate by boycotting the seller or organize an offensive campaign to state their objection (Baxter, 2007). One of the best customer disobedience examples started in the 1960s like dolphin killing by tuna fisherman, unethical treatment of animals and the anti-fur campaigns (Baxter, 2007). Most of these campaigns are still holding strong and have large and effective base of supporters. Ingram, Skinner and Taylor (2005) recommend that sellers like Coca-Cola should have a contingency plan in case unintentional wrongdoing take place to recover from the impact of the situation. Coca-Cola is a non-alcoholic drink that is marketed as a joyful and refreshing drink for all age groups. 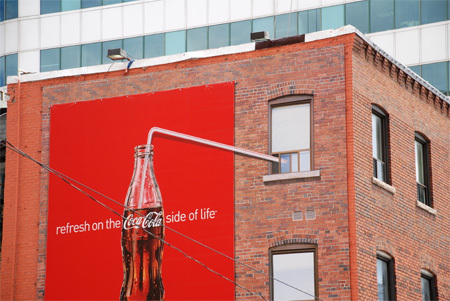 Coca-Cola Company’s mission statement is to refresh the world, inspire moments of optimism and create value (“Our Company,” 2009). Coca-Cola’s values include leadership, collaborations, integrity and accountability but Coca-Cola’s practices have serious implications that contradict its values. Prospect theory gives marketers the chance to use the customers’ risk-averse behavior to steer their decision toward a profitable choice for the company. Company practices are legal and ethical because the choice was made by the customers who build it on their internal risk-averse behavior (Novemsky & Kahneman, 2005). 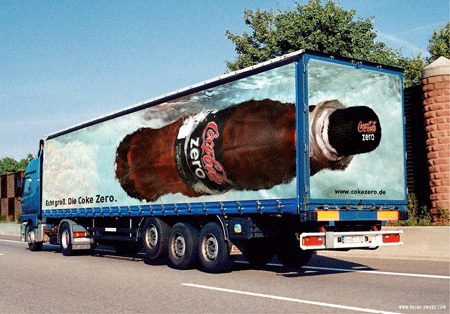 Coca-Cola Company has more than 400 non-alcoholic beverages that include Coke, with distribution and bottling operations in 200 countries (Holcomb, 2008). Coca-Cola brand strength is supported by its worldwide distribution and availability (Peter & Donnelly, 2006). Coke is the most famous soft drink produced by Coca-Cola Company and is consumed around the world. Coca-Cola Company stated that their products are tested using European standards and did not break any laws in India. However, Coke was found containing pesticides 24 times higher than the European standard by an Indian laboratory, which Coca-Cola discredit (Burnett & Welford, 2007). The Indian bottling plants consume large quantities of water, which is much needed by the farmers especially during seasonal droughts (Burnett & Welford, 2007). The principle “let the buyer beware” is opposite to the relationship marketing principle in which the seller seeks long-lasting relationship with the customer. The relationship is maintained by stating the facts and giving the necessary information to the customer. Relationship marketing takes part of the risk to prevent any risk that the buyer may encounter from the selling and buying experience. “The relationship marketing strategies are concerned with the development and enhancement of relationships with a number of key markets” (Šimberová, 2007, p. 207). Marketers should not subscribe to the caveat emptor principal because it makes the relationship between the seller and the buyer deteriorate. Inks, Avila and Chapman (2004) found that buyers are more ethically sensitive to unethical behavior. Buyers have stronger negative reaction to lying when this lying was from the seller; however, the buyers were less sensitive to their deceit (lying) because they justify it with the resulting low price. Companies seek customer’s commitment by deferent means; however customer commitment can result from satisfying the customer by offering him or her good product or service in exchange for his or her money. Satisfaction comes from product quality and service quality, which is supported by price fairness (Worrall, Parkes & Cooper, 2004). Polk (2008) state that managers should be accountable for the company’s innovations and the change it leads to successfully. Managers should abandon old ideas when they become a threat to the organization but learn that failures are opportunities to learn. Peter Drucker stated that the organizations profit is necessary to supply capital for future innovation and expansion (Drucker, 2004). Chiung-Ju and Wen-Hung (2008) listed different tactics the retailers use to enhance customer loyalty that branch from financial, social and structural bonding activities. Financial bonding includes discounts and interest rate. Social bonding is the relationship created between the two parties during a business interaction and follow up interactions (Chiung-Ju & Wen-Hung, 2008). The final tactic is structural in which the organization set up rules, policies and procedures to structure its relationship with the customers. Survey of 205 companies reported that more than 50% of surveyed companies are generating 75% of their sale from the existing customers (Carter, 2008). Customer loyalty is important because almost all of the companies had lost a top customer to a competitor in the last three years (Carter, 2008). The surveyed companies measure their customers retention that indicates the company’s awareness of the customer retention importance (Carter, 2008). The most important finding of Carter (2008) survey was the strong link between customer retention and customer satisfaction. Companies would benefit of generating 75% of their sale from a satisfied and retained customer. On the contrary, East, Hammond, and Gendall (2006) state that customer retention importance is overvalued and companies should target customer acquisition strategy. Customer retention strategy gains are less than customer acquisition according to East, Hammond, and Gendall (2006). Palmatier et al. (2009) state that loyal customers will experience strong pressure to reciprocate the benefits they received from others when they receive good service. People take the gratitude role when they receive benefits and suffer the guilt of not repaying the favor to the other party so the at least remain loyal to the favor maker. Roehm and Brady (2007) state that half of the researched customers switched brands because of a service failure or inappropriate response from the. Relationship marketing strengthen the relation with the customers but these customers have higher desire to revenge the brand when their complains are not addressed appropriately (Grégoire, Tripp, & Legoux, 2009). Customer Relationship Management (CRM) main function is to increase the profitable customers’ retention effectively by building and maintaining positive relationships (Payne & Frow, 2006). One of the main functions of CRM is to provide the organization with a single view of the customer, in which view the information may be split into different disciplines and categories (Tuck, 2008). Payne and Frow (2006) research on implementing a successful CRM resulted in identifying four elements that start with assessing the organization’s readiness for a CRM initiative to estimate the effort needed to establish CRM; and help in the next step of managing the change wanted for the organization to adopted and implement CRM project. CRM implementations should be treated as a project and managed as a project that necessitates employees’ engagement (Payne & Frow, 2006). Tuck (2008) state that CRM should be managing customer relationship but lately CRM became associated with software packages and the difficulty of setting one up. Tuck (2008) claims that CRM projects shifted the organizational focus to deploying and operating the software package instead of targeting business processes that would deliver the segmented information in a useful way to the organization. Stated customer goal: state customers expectations or what they would like to receive from their relationship with the organization, and match them with the organizations internal goals. Set clear customer strategy to better serve the customer. The organizations can excel in “operational excellence” like Southwest airline does or “product leadership” like Apple’s innovative products or “customer intimacy” in the way Ritz-Carlton treat their customers. These strategies would help serve and retain the customers. Define customer governance by appointing a chief customer officer with a team and resources to govern the customer’s needs. Create roadmap for the customer’s external and internal goals and support them with a strategy that ensures an adequate budget to the communication and motivation plans. The three articles discuss the ease in losing the CRM focus to other unrelated issues like setting up the CRM software package or forcing the CRM program into an organization although it is not ready for the change required for CRM program. Coca-Cola’s values include leadership, collaborations, integrity and accountability but Coca-Cola’s practices have serious implications that contradict its values. Coca-Cola acknowledges their safety standard violation by failing to take toxicity test on one of their dumping sites. International markets are usually different from the local market, which necessitates different marketing strategy and stronger relationship building effort. 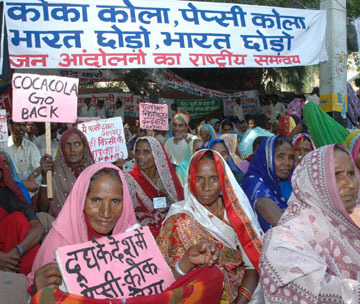 Indian protesters targeted the Coca-Cola’s fully owned and operated plants but the licensed plants did not have the same difficulties. The purpose of this case study is to identify key leadership factors to build a strong international relationship marketing plan for foreign markets. Coca-Cola followed the caveat emptor principle or “let the buyer beware” that is opposite to the relationship marketing principle in which the seller seeks long-lasting relationship with the customer. Indian customers are consuming beverages that contained harmful substances without the knowledge of such contamination. Coca-Cola selected not to do the standard tests and when the tests were done the results were not published to the customers. The bottling plants are consuming scarce resources and contaminating the surrounding agricultural land. Coca-Cola implemented its bottling and distribution model in India with good success but while damaging its brand name, at least locally, and losing many customers to the local competitors. Coca-Cola should implement a well structured customer relationship management to polish its brand name and act ethically similar to the way it does its bottling and distribution in U. S. A. and Europe. The suggested relationship management effort should be customized to the Indian culture and address the political and religious differences in the local area. The research limitations were its dependence on secondary data only without conducting structured interviews with the local customers. However, the research finding may be applicable to the neighboring countries if a soft drink company wishes to start a business in India and surrounding countries. Baxter, S. (2007). Is it worth the cost? Marketing to negatively perceived consumer groups. Global Journal of Business Research, 1(2), 87-96. Burnett, M., & Welford, R. (2007). 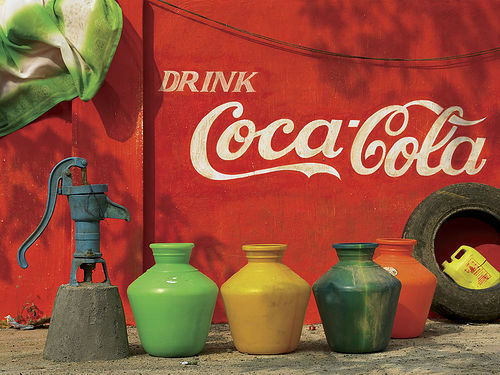 Case study: Coca-Cola and water in India: episode 2. Corporate Social Responsibility and Environmental Management, 14(5), 298-304. Carter, T. (2008). Customer engagement and behavioral considerations. Journal of Strategic Marketing, 16(1), 21-26. Chiung-Ju, L., & Wen-Hung, W. (2008). Do loyal and more involved customers reciprocate retailer’s relationship efforts? Journal of Services Research, 8(1), 63-90. Crosby, L., & Carroll III, J. (2008). Weather the storms. Marketing Management, 17(1), 14-15. East, R., Hammond, K., & Gendall, P. (2006). Fact and fallacy in retention marketing. Journal of Marketing Management, 22(1/​2), 5-23. Grégoire, Y., Tripp, T., & Legoux, R. (2009). When customer love turns into lasting hate: The effects of relationship strength and time on customer revenge and avoidance. Journal of Marketing, 73(6), 18-32. Hair, J. F., Bush, R. P., & Ortinau, D. J. (2003). Marketing research: Within a changing information environment. Boston: McGraw-Hill. Holcomb, J. (2008). Environmentalism and the internet: Corporate greenwashers and environmental groups. Contemporary Justice Review, 11(3), 203-211. Holcomb, J. (2008). Environmentalism and the internet: Corporate green washers and environmental groups. Contemporary Justice Review, 11(3), 203-211. Ingram, R., Skinner, S., & Taylor, V. (2005). Consumers’ evaluation of unethical marketing behaviors: The cole of customer commitment. Journal of Business Ethics, 62(3), 237-252. Inks, S., Avila, R., & Chapman, J. (2004). A comparison of buyers’ and sellers’ perceptions of ethical behaviors within the byer-seller dyad. Marketing Management Journal, 14(1), 117-128. Novemsky, N., & Kahneman, D. (2005). The boundaries of loss aversion. Journal of Marketing Research, 42(2), 119-128. Palmatier, R., Jarvis, C., Bechkoff, J., & Kardes, F. (2009). The Role of Customer Gratitude in Relationship Marketing. Journal of Marketing, 73(5), 1-18. Payne, A., & Frow, P. (2006). Customer relationship management: From strategy to implementation. Journal of Marketing Management, 22(1/​2), 135-168. Peck, H., Payne, A., Christopher, M., & Clark, M. (1999). Relationship marketing: Strategy and Implementation. Boston: Butterworth Heinemann. Peter, J., & Donnelly, J. (2006). A preface to Marketing Management (10th ed.). New York: McGraw-Hill/​Irwin. Polk, X. (2008). Coca-Cola: Long term innovation (a case study). Consortium Journal of Hospitality & Tourism, 13(2), 61-78. Roehm, M., & Brady, M. (2007). Consumer responses to performance failures by high-equity brands. Journal of Consumer Research, 34(4), 537-545. Šimberová, I. (2007). Internal marketing as a part of marketing culture supporting value for external customer. Economics & Management, 12, 470-280. Tuck, S. (2008). Is MDM the route to the holy grail? Journal of Database Marketing & Customer Strategy Management, 15(4), 218-220. Worrall, L., Parkes, C., & Cooper, C. (2004). The impact of organizational change on the perceptions of UK managers. European Journal of Work & Organizational Psychology, 13(2), 139-163. Zikmund, W., Mcleod, R., & Gilbert, F. (2003). Customer relationship management: Integrating marketing strategy and information technology. Hoboken, NJ: Wiley. dear sir, i want to literature of review on coca cola india distribution system. for purpose of, complete my project report . I could not make out what do you mean by your comment above. DO you need a literature review on Coca Cola distribution system? or do you need to use the information in this post for as part of your literature review? Found very relevant info from above post of yours..
and marketing programs in India. I am no longer positive the place you are getting your info, however good topic. I must spend a while finding out much more or figuring out more. Thanks for wonderful info I used to be looking for this info for my mission. Your document i mean the matter which u had given by you is very nice and useful for MBA students u explained the literature review on Coca-Cola on crm. Can u please any suggestion about the literature review on Retailers satisfaction on Coca-Cola drinks Which will helpful to my project work…………. Depending on your policy after you have to buy more private reinsurance which costs more. applying for a reql estate agent to know what kind of services, the prices assurance maladie 01 which they quote etc. Needed to draft you this bit of remark in order to thank you so much the moment again regarding the exceptional ideas you’ve featured in this article. It’s simply surprisingly open-handed of you to make publicly all many people could have supplied as an e book in making some profit for themselves, specifically given that you could possibly have tried it if you considered necessary. The suggestions as well acted to be a fantastic way to realize that the rest have the identical dream like my personal own to see a whole lot more with regard to this issue. I am sure there are numerous more pleasant moments in the future for individuals who take a look at your blog. I am in fact delighted to glance at this blog posts which consists of tons of valuable data, thanks for providing such statistics. what year was this written? ?